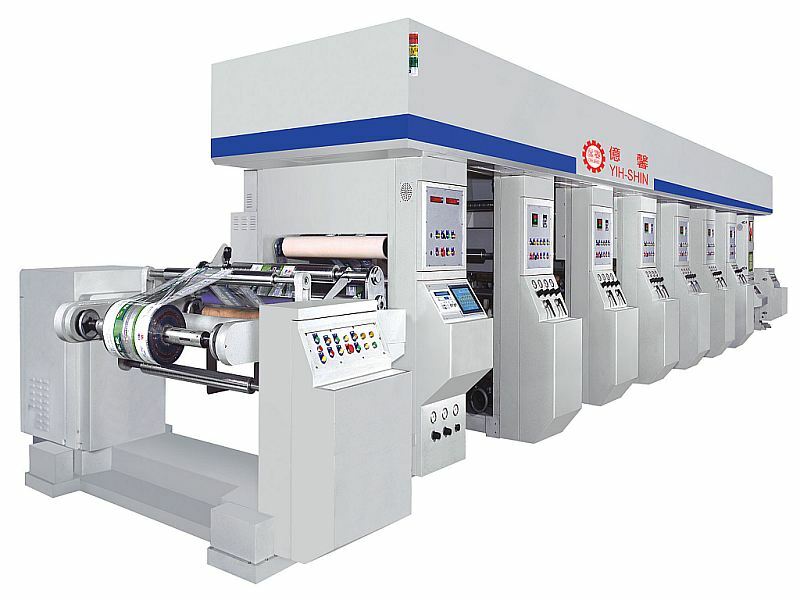 High-speed intaglio multi-color printing machine, Dry laminating machine - Yih-Shin Industry Co., Ltd. Established in 1986, Yi-Shin Industrial Ltd. specializes in developing various printing machines with over 20 years of experiences. We professionally produce automatic color printing machine, laminating machine, slitting machine, lightguide plate PC membrane press, quality control machine, and other various equipment manufactures. Our company has many experts with abundant experiences and professional techniques in printing machine design and manufacture to ensure high quality. We try our best to provide high quality, high productivity and high efficiency printing machines to our customers. Thus, we receive excellent feedbacks from the field. We carefully understand customers'' needs from detailed machine repairs to whole designs and manufactures of factory machines. We have consistent producing techniques, facilities and strict quality control. We insist to provide creativity, quality and satisfying services to customers. Our goal is to provide best products to customers.